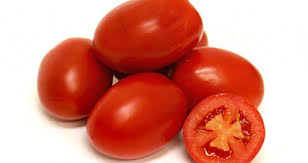 Roma tomatoes are an oval or egg shape. Usually used for cooking, but also great in salads. Deep rich red colour.